Look at this egg! It peeled like a breeze! This egg is fresh from our chickens, only a day or two old. Fresh eggs are usually the worst to peel after being boiled — half the white peels off with the shell. Store-bought eggs are typically several weeks old by the time you purchase them, and they are sometimes still hard to peel. Well, no longer! 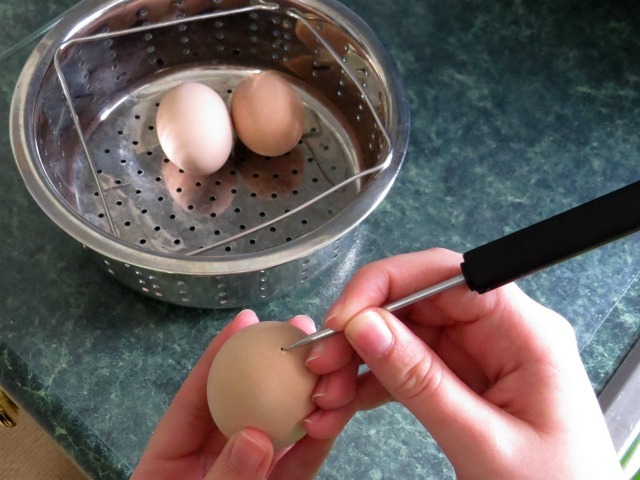 There is a simple solution to your egg-peeling problems! After looking at both of the egg cookers, I thought “I can do this myself without paying for another kitchen gadget!” The keys to easily-peeled boiled eggs, it seems, are a hole in the eggshell and steam. 1. 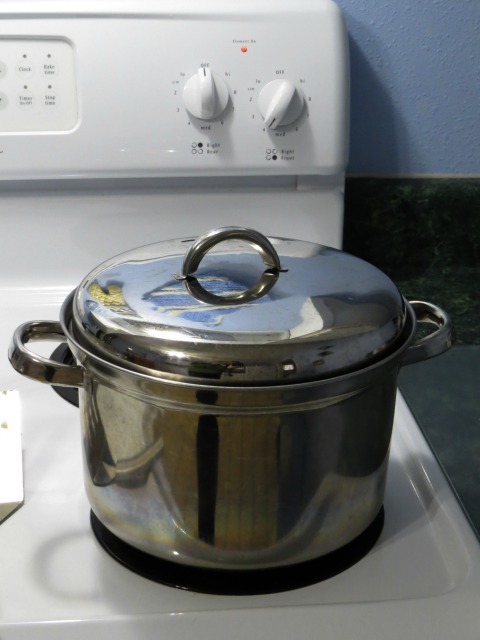 Grab stainless-steel pot with steamer basket, which is typically used to cook veggies like broccoli and carrots. 2. 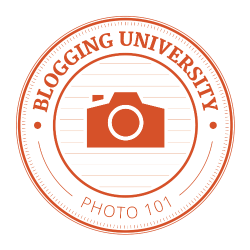 Sanitize a sharp object, like a sewing needle (I used an ice-pick tool in a screwdriver set), and poke a small hole in the fat end of the egg (where there is an air bubble between the shell and the inside of the raw egg). 3. 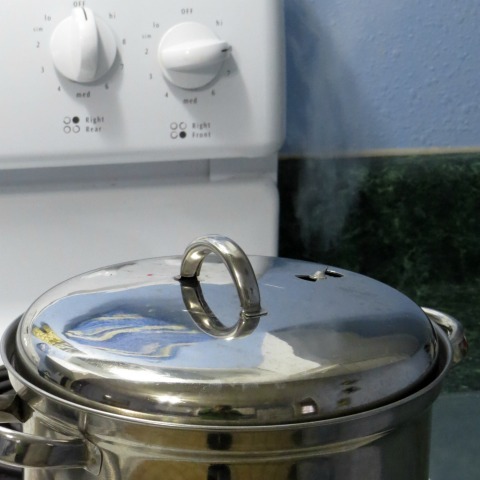 Add about an inch of water to the pot, place the basket of eggs inside, and put it on the stove at a high temperature until you can see steam coming from the pot’s vent. 4. 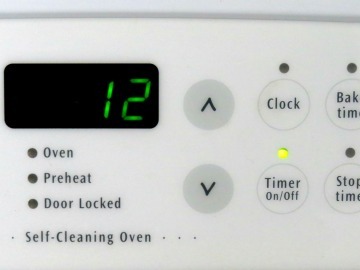 Close the lid vent, turn the temperature down enough to keep a low-rolling boil, and cook the eggs for 12-15 minutes for hard-boiled eggs. TIP: Test to see if they are cooked the way you like. 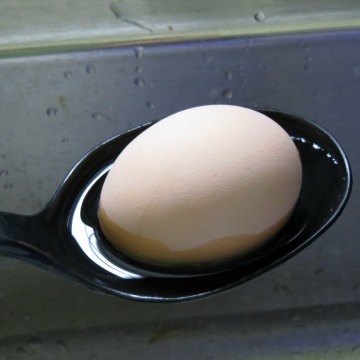 You can test an egg by putting it in a spoon and running cool water on it until it’s cool enough to handle (or place it in some ice water for a minute). Then peel it and cut it in half to check the appearance of the yolk. 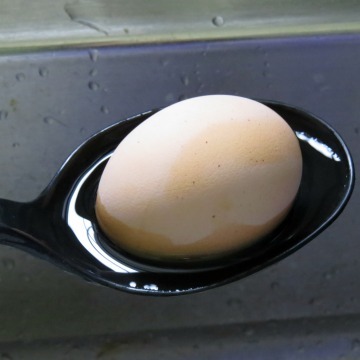 These photos show how the egg dries off in seconds when it is still very hot! I tested an egg at 12 minutes, and decided the others needed more time. I like my eggs completely hard-boiled, with no dark or “gooey” places in the yolk, so I will stick with 14-15 minutes from now on for larger eggs. Smaller eggs would, of course, take less time. 5. Place the eggs in cold water (or ice water) to stop the cooking process at the desired point. It’s the same idea as rinsing pasta in cool water after you drain it; if you don’t cool it off, it will continue to cook. 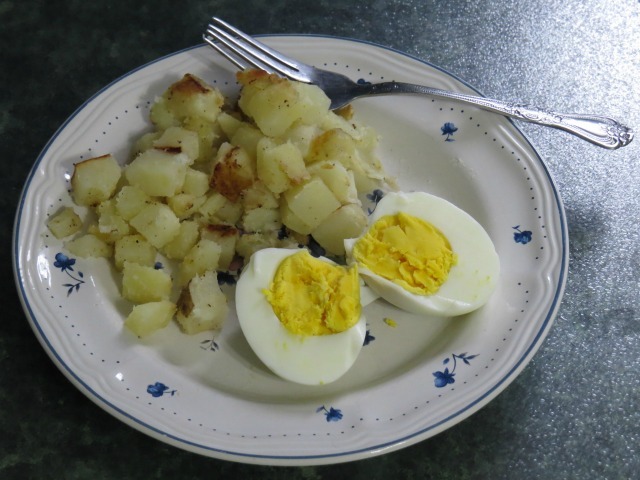 Over-cooking will cause the eggs to get a grayish-green coating around the yolk. Using this method, our fresh eggs are so easy to peel and so delicious! Yum! Some of these methods worked fairly well, but none worked great for easily-peeled boiled eggs. 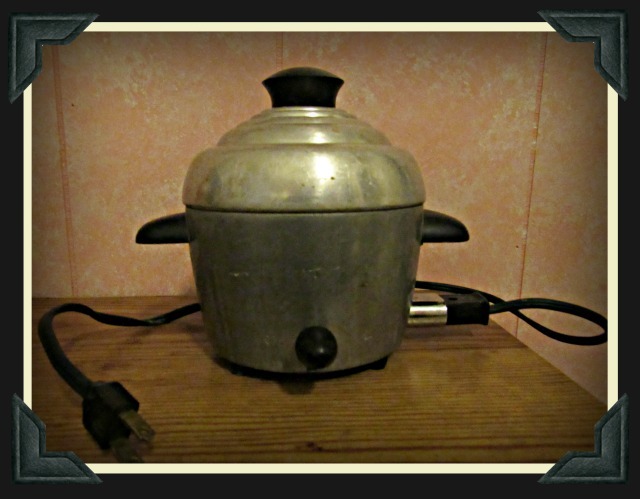 But, in my experience, steaming works without fail!